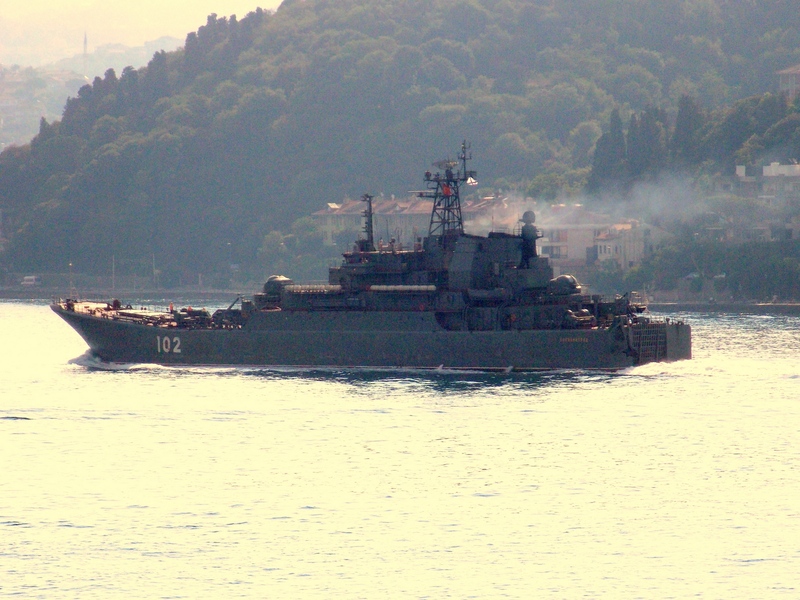 On 21 July 2014, the Russian Ropucha class landing ship 102 Kaliningrad returned to the Black Sea. Photo: Yörük Işık. Used with permission. 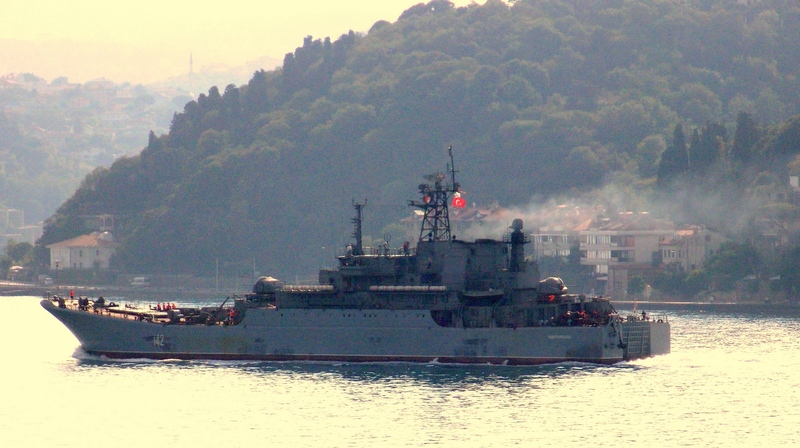 On 21 July 2014, the Russian Ropucha class landing ship 142 Novocharkassk returned to the Black Sea. Photo: Yörük Işık. Used with permission. On 23 July 2014, the ships of the SNMCMG-2 returned from the Black Sea. 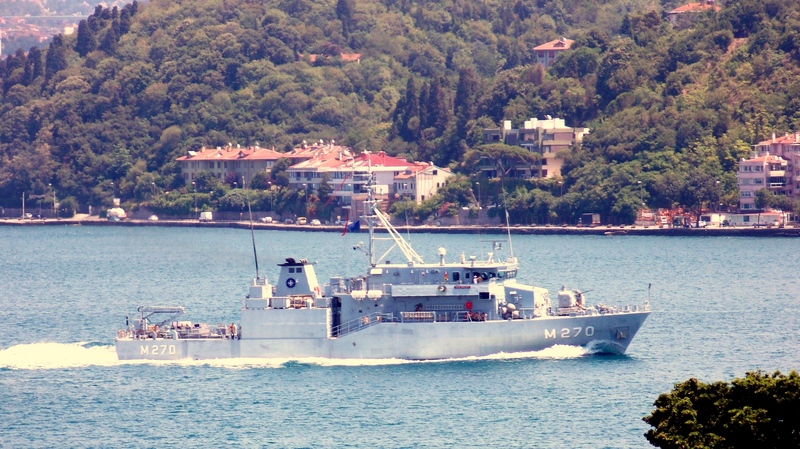 This is Turkish mine hunter M-270 TCG Akçay making her southbound passage through Bosphorus. Photo: Yörük Işık. Used with permission. On 23 July 2014 the flagship of the SNMCMG-2, the Italian frigate F-583 ITS Aviere left the Black Sea. Photo: Yörük Işık. Used with permission. 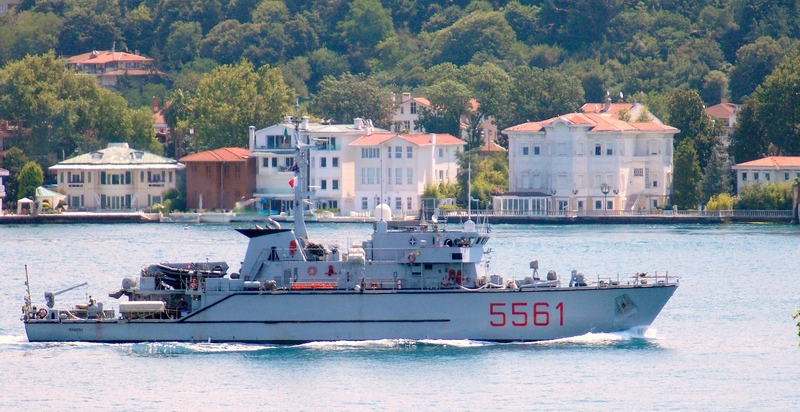 The Italian mine hunter 5561 ITS Rimini also part of SNMCMG-2 making her southbound passage on Bosphorus. Photo: Yörük Işık. Used with permission. 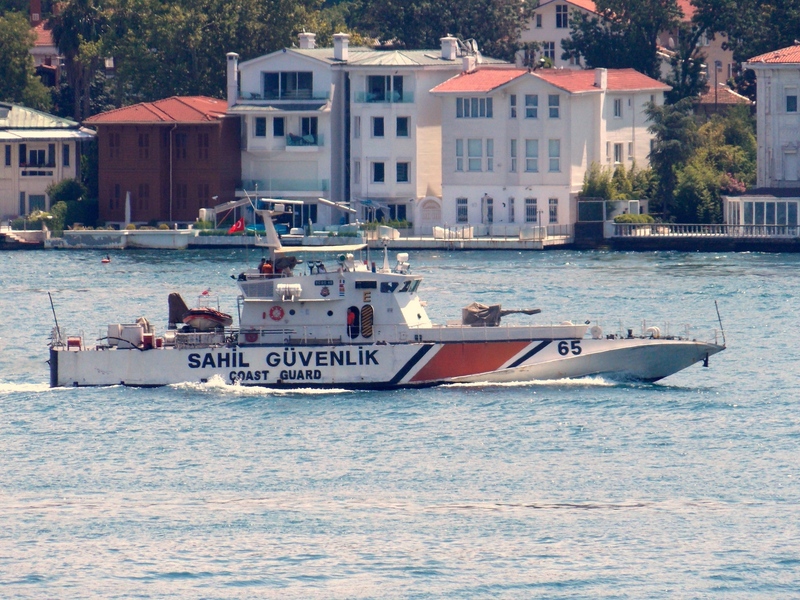 Turkish Coast Guard vessel TCSG-65 escorted the ships of SNMCMG-2 during their passage through Bosphorus. Photo: Yörük Işık. Used with permission. On 21 July 2014 two Russian Ropucha class large landing ships, Kaliningrad and Novocharkassk returned from their Syrian deployment. Two days later on 23 July 2014 ships of the SNMCMG-2 left the Black Sea after taking part in the Bulgarian led naval exercise Breeze 2014. Interestingly the UK contribution to the SNMCMG-2, HMS Chiddingfold was not seen passing through the Bosphorus with the rest of the task force.